Please join us in solidarity on Monday night. 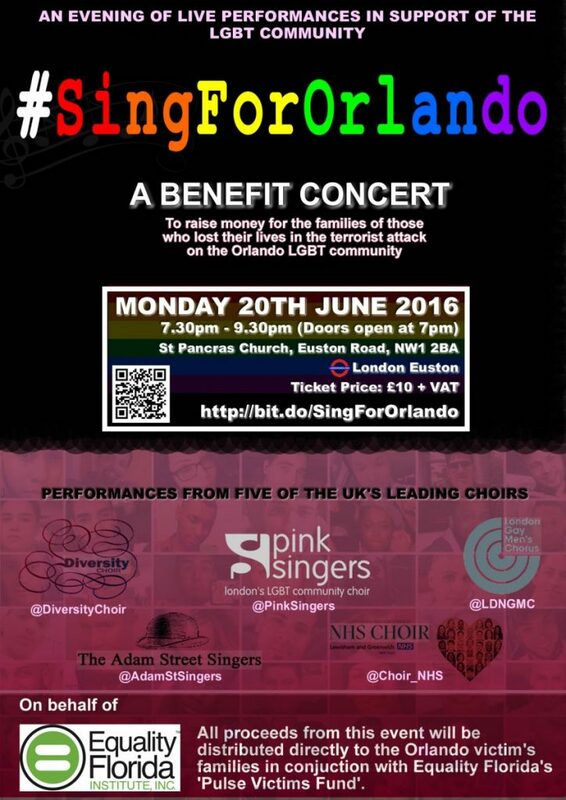 Five of the UK’s leading choirs come together for one evening in support of the LGBT community and to raise funds for the families mourning the loss of their loved ones. All proceeds from the event will be distributed directly to the Orlando victims’ families in conjunction with Equality Florida’s ‘Pulse Victims Fund’. Next Next post: Together we are Pride!